Move to Office 365: Did SharePoint become the reason? "It's been a long and exhausting road with SharePoint"
These are the words an IT Director at a large company here in Montreal told me last week right before we hung up. Like many, they’ve implemented SharePoint back in 2010 to benefit from a centralized document repository that did not require VPN or special tools to access other than a browser. Over time, the more they used SharePoint the more they realized it didn’t do what they needed quite right and some extra effort would be required. I think the feeling is shared by many organizations though they won’t all admit it, that’s why I am happy to see people move to Office 365 and use the new SharePoint on it. I’d say it so proudly, knowing how powerful SharePoint is and the things we’ve be able to do with it. Intranet, Extranet, Internet, Collaboration Sites, Applications, I mean the list goes on almost forever. Name it, and we can do it with SharePoint. However, it does not mean you should. The problem isn’t so much that we would torture SharePoint into doing what we wanted it to do, but that as we started using it, we would realize how it actually works. “Oh no, you can’t do that with SharePoint”, “Well you can, but that’s custom dev”, “We’re going to need to plan because you can really pay for it later”. I love SharePoint, the problem is that for too long it’s been sold as an easy solution to our business problems when it simply isn’t. It requires a lot of work and knowhow to build the solution to your business needs. If you know what SharePoint is, then you are lucky enough to know what you are getting into when getting started. It’s just not the case for many. We’ve always been saying it: in IT, expect things to change quickly and adapt to them. And yet, it feels that a lot of us were simply not ready for the changes happening right now. I’ve said it before and I’ll say it again, SharePoint isn't dying nor it's going away. But wanting it to stay the same is an absurd request. I wish I'd have actual stats to show, but most don’t even use the SharePoint they have. They put files on it with a few tags if we’re lucky and maybe create some workflows to automate some of these aspects. Of course, those working in larger enterprises will argue that they have an Intranet, an Extranet and they are actively using the Team Sites. That’s awesome and to them I say that SharePoint is still here, will change by adding some new things and changing some old things but it will still be here. You can get SharePoint 2013 as an On-Premises installation, migrate to it and continue benefiting from all that you have built with the platform. But for many who just have “SharePoint Licenses” or are using it as a File Share on a webpage and don't have the time and money to invest in building on this platform adequately, it’s not doing it. Slowly, people in the organization who need solutions, will find what they need elsewhere. Take a few steps back and look at it from a new perspective; it doesn’t have to replace everything you have if you don’t need it to. Office 365 gives amongst the bundle of features offered, a new way of consuming SharePoint instantly. For many organizations, it presents itself as an alternative that stays within the context and control of the traditional IT that already has so much invested with Microsoft. From Active Directory to deployment with SCCM and now Intune, to integration with the OS they deploy. A move to Office 365 allows them to remove some burden from the server management and configuration and focus on delivering solutions to their organization’s needs. For some, it can be an easy Hybrid solution you connect to your existing investment with SharePoint that does everything you need, but provides consumable packs to them. The Video Portal, Groups for Office 365, Delve and the expected NextGen Portals quickly mentioned in a post by Mark Kashman at Microsoft are all great examples of this. You can get the “Traditional SharePoint” because it’ll still be here and build your own Video Portal the way you want or “consume” the Office 365 Video Portal quickly and easily without much effort. In my opinion, this is what Office 365 is offering and is in the right spot for the challenges Microsoft is facing. It’s certainly has been a long and exhausting road with SharePoint for many, but the future doesn't have to be. 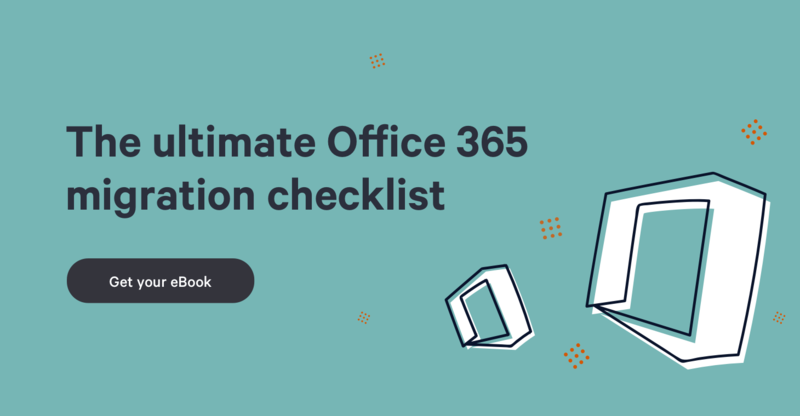 Don’t look at Office 365 as the replacement, but as an alternative or add-on that offers quick consumption of SharePoint through Portals and Solutions already prepared for us. Tell me, how's you relationship with SharePoint these days?